An invitation to find the possible creators of the human race is found which send a group of scientists on a journey across the galaxy to find their makers. What they find is not exactly what they were after and end up having to fight to save the human race. Where to start? There are multiple ways to look at this film. 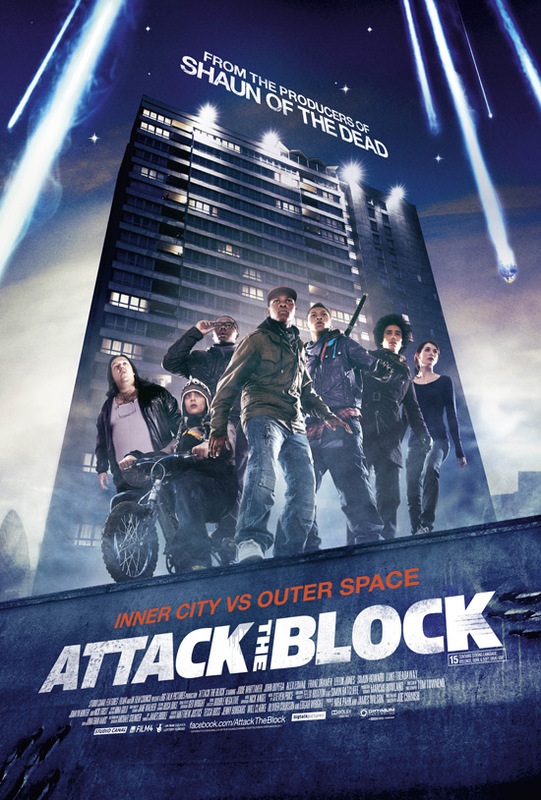 It’s a brand new Sci-fi film for a new fan base who is watching it to enjoy the ride. Or it is a prequel/set in the same universe as the original Alien franchise with many questions that get asked. I could see it as both however being a fan of the franchise and having too many similarities I do see it as a prequel of sorts. I don’t like to give away many things in my blogs that is what the comments section is for, so I’m not going to. I will say a couple of things though. The ship Prometheus, which they are travelling on, has a crew of 17 people. This was totally unnecessary and the audience is given no reason to care for many of these characters, mainly because half of them are given next to no screen time. Also the amount of questions that are asked in the film leaves the viewer confused and wanting answers. One point you can look at that equates to all these questions is one of the films writers is Damon Lindelof, of Lost fame, who maybe thought it would be great to confuse the fan boys. Another way to see it is that this is the start of a 2 part series or even a trilogy. Michael Fassbender as android David was by far the best character and actor in the film. This is a hard one to say if you should see it. I have spoken with many people about the film and I get different responses from everyone, Film critic hated it, Alien/Aliens fan loved it, Alien/Aliens fan hated it. I think I am stuck in the middle somewhere but not totally sure. I can see both sides but cannot pick one. I left the cinema thinking I wasn’t a fan. I woke up the next morning thinking I liked it more than I thought. The more I talk about it the more I like it. It is defiantly a film I will be going to see for a second time. Should you watch it? After such a mixed response perhaps you should see it just to have your own opinion. The film was originally to be called “Paradise” in December 2010. This is now being touted as the name for the sequel. With a title of Monsters you expect action, adventure, scary moments and monsters themselves. What you get from this is a fantastically shot film with wonderful landscapes intertwined with a story of two people trying to get across an infected zone back to America. A photographer, Andrew Kaulder, is tasked with getting his bosses daughter, Samantha Wynden, back to America to her fiancé by going across the infected zone in Mexico. This infected zone is inhabited by aliens or as the title says Monsters since a space shuttle crashed there 6 years previously. The film follows the relationship that the two main characters strike up while trying to get home along with the fantastic locations that the film is shot in. The lack of action, blood and guts for a monster film as compared to recent big budget monster films does not matter one bit and in a way makes this film so much better because you are not being brainwashed with needless and usually rubbish CGI. 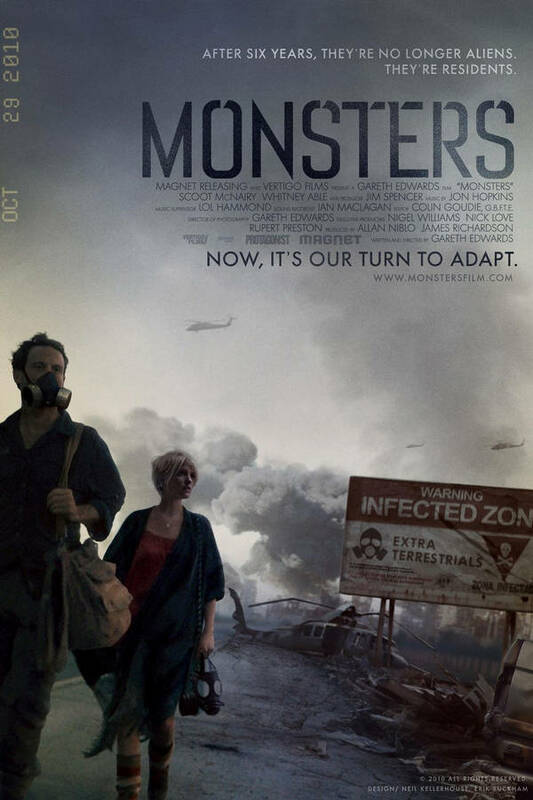 If you’re expecting a big budget monster film then this is not the film for you. If you want to see a journey through some fantastic landscapes and see some excellent camera work then this is the film. 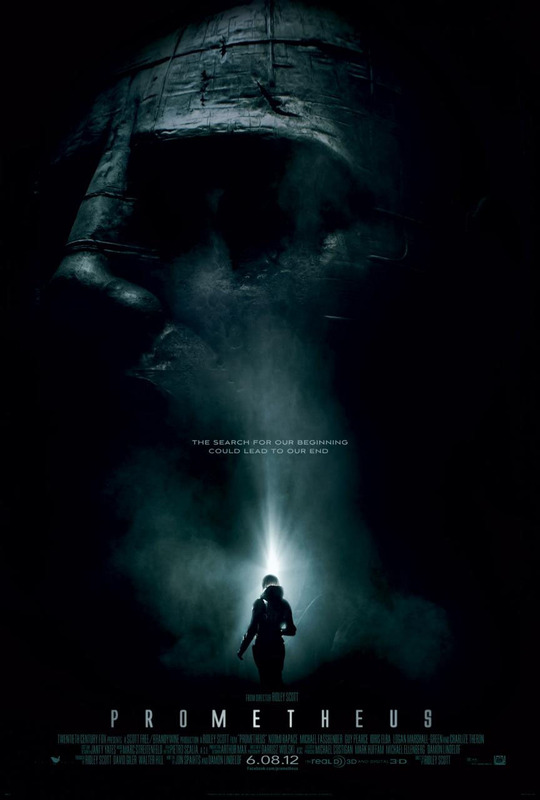 It does not fall in to the trap of being a big budget Sci-fi film and is very well put together as a monster indie film that does not concentrate on the aliens. Gareth Edwards didn’t just direct the film he also claims the Writing, Cinematography, Production Design and Visual Effects credits heightening the indie status of the film. We have had a lot of aliens invading earth films and this is nothing new. 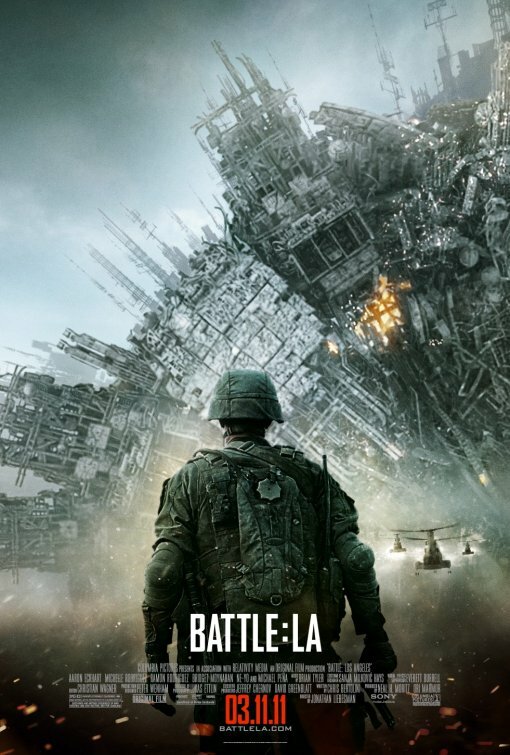 It tells the story of aliens landing and attacking major cities all over the world and we see the side of the fight against the aliens in Los Angeles. If you are a fan of shaky camera shots, throughout the whole film, then you will like this. To me the shaky cam effect was used far too much and on occasions became a distraction to what was going on. The whole story, directing and acting was very poor and doesn’t really keep you entertained. The only real redeeming factor of the film was that the CGI was ok. I think i was expecting a stronger story, a nicer shot film and better acting from Aaron Eckhart but at the same time it does exactly what it is meant to do: Humans fighting to save the planet from an alien invasion with a typical Hollywood ending. I probably won’t be watching this again and if you can handle cheesy one liners and shaky cam effects then give this film a watch. But do be warned – there are a lot better alien invasion films. Aaron Eckhart broke his arm while filming a stunt on the set of the film. He still didn’t miss any days of filming.